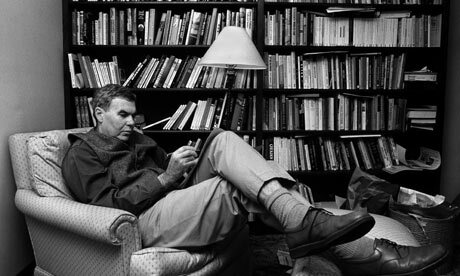 On the hump day of your work week, we present to you what is in our estimation one of the greatest short stories ever written: What We Talk About When We Talk About Love, by Raymond Carver. First published in a collection of the same name, Carver initially submitted the story to his editor, Gordon Lish, with the title Beginners. During the editing process, Lish changed more than the title; the extent of his edits can be viewed here in their entirety. Published in The New Yorker in 2007, this document presents Carver’s full first draft of Beginners with Lish’s additions, deletions, and paragraph changes in bold. It is powerful to see the work of an editor first hand, and we’re not sure if we prefer Carver’s unedited version, Beginners, published in The New Yorker, or the carefully edited version, What We Talk About When We Talk About Love. What we do know is that this story is special. It gives voice to thoughts and questions we all ask ourselves about love and loss of love.  Archived in Book Recommendations, Iconic Literary Men and tagged Beginners, Gordon Lish, Raymond Carver, What we talk about when we talk about love. Bookmark the permalink.